The exposition of the doctrine. 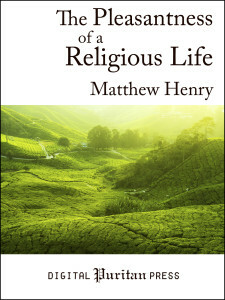 The pleasure of being religious proved from the nature of true religion, and many particular instances of it. The pleasantness of religion proved from the provision that is made for the comfort of those who are religious, and the privileges that they are entitled to. The doctrine further proved by experience. The doctrine illustrated by the similitude used in the text, of a pleasant way or journey. ISBN 9781304288028. e-Book only, approximately 192 pages.